The players operating in the global stationary catalytic systems market are anticipated to leverage on the heightened demand for steel. Moreover, players will also bank on the increased purchasing power of the construction and automotive industries. In the forecast period from 2017 to 2025, metal, petrochemicals, and chemical applications are predicted to gain great focus. This is especially true for emerging economies as these countries are witnessing a surge in the construction and infrastructure activities over the past few years, and shall continue to do so. The growing demand for oxidation catalysts for annihilating carbon emissions, volatile organic compounds, and formaldehyde from gas turbine power generators is expected to push the growth of the global stationary catalytic systems market during the forecast period. The rise in industrialization is another major reason behind the growth of this market. In addition to this, the high requirement for power and the rapid increase in population will also drive the growth prospects of the global stationary catalytic systems market in the years to come. Power is in high demand from the commercial, residential, as well as the industrial sector and is expected to accelerate the growth of the stationary catalytic systems market. Stationary catalytic systems find applications in manufacturing, refining, cement, and food sectors, among others. The growth in the food, cement, or manufacturing industry is therefore, directly aiding the global stationary catalytic systems market. Growing infrastructure developments in emerging economies will propel the petrochemicals and chemicals sector in the coming years. Stationary catalytic systems help in reducing the harmful emissions such as hydrocarbons, carbon monoxide and nitrogen oxides from power-plants as well as petro-chemical and other manufacturing industries. Besides destroying carbon monoxide and hydrocarbons with oxidation catalysts, these stationary catalytic systems can also capture fine particulate matter and are are built to withstand high operating temperatures or thermal shock. With the growing environmental concerns across the world, global stationary systems market is projected for a healthy growth rate during the forecast period of 2017 to 2025. This report on global market for stationary systems market is a comprehensive analysis of all the factors that are expected to impact the growth rate over the course of next few years, and presents estimations of the future scenario. Considering stringent guidelines set by several governments as a primary factor of this market, the report highlights some of the important regulations in place in various countries. 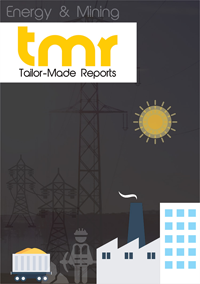 One of the key feature of this report is the section on company profiles wherein some of the key players in this market have been analyzed for their market share, regional outreach, product portfolio, and recent strategic developments. The global stationary catalytic systems market can be segmented on the basis of technology into selective catalytic reduction and catalytic oxidation, and on the basis of application into power plants, chemical and petrochemicals, cement, and metal. Regulations pertaining to GHG emission, which are getting stricter every passing year due to growing environmental concerns, is the primary driver for the market. For instance, in the U.S., regulations such as National Ambient Air Quality Standards (NAAQS) is in place for industries to follow in order to reduce industrial pollutant emissions. Coal fired boiler replacement program in China is another recent development that will positively reflect on global stationary catalytic systems market. China, a country with vast population and landscapes, retrofitted 400,000 MW of existing coal-fired boilers with selective catalytic reduction in 2012. With an average life of 3 to 5 years, the country-wide market of china is expected to generate fresh demand for stationary catalytic systems during the forecast period. Some of the other factors complementing the growth rate are expanding adoption of oxidation catalysts to control pollutant emission from gas turbine power generators, varied application of catalytic incineration process at refining, chemical, metal, and food and beverage industry in Asia Pacific, escalating demand for electricity with growing population, and rapid industrialization. The report detects that selective catalytic reduction segment has the maximum demand in terms of product segment while application-wise, power plant stationary catalytic systems dominate owing to electricity demand from the commercial, industrial, and residential sector. Country-wide markets of China and India make Asia Pacific the most lucrative region, and with growing number of power plants, the region is anticipated to remain highly profitable through-out the forecast period. Government of India has set aside a budget of US$44 bn for the development of 35,000 km road across the country, which will augment the demand for stationary catalytic systems. France generates maximum demand from Europe market while Canada dominates North America market. Canadian government has pledged an investment of US$11.9 bn for the improvements of social infrastructure that is in sync with environment. DCL International Inc., Johnson Matthey, BASF, CORMETECH, Amec Foster Wheeler, Babcock & Wilcox Enterprises, MECA, APC technologies, Ducon Technologies, Air Clean LLC, and Hamon Corporation are some of the prominent names in global stationary catalytic systems market.